Conversation with Pim Vossen, Director of Programs and Dr. Stephen Brand, Director of Marketing at The Creative Education Foundation. The Creativity Post: The Creative Education Foundation is called “the Center for Applied Imagination”, could you tell us more where that description is coming from? TCP: Could you describe (in principles) the Osborn- Parnes Creative Problem Solving Process? In the 1930s, Alex Osborn’s marketing firm (BBDO, still one of the largest ad firms in the world) was losing market share. The Great Depression hit the US and they were struggling to keep the company alive and come up with creative marketing campaigns for the few clients he had left. To develop great ideas he started running “Think up” sessions, which he based on an old Hindu principle that translates to: outside yourself and question. Osborn was fascinated by the notion of creative thinking, which led him to a deeper interest in the field. He reverse engineered the process of creative thinking by looking at what “creatives” do naturally and dissected that process. His basic finding was that in order to come up with great ideas, one needs to separate their thinking: first coming up with a long list of ideas (Divergent Thinking) and then selecting the most promising ideas (Convergent Thinking). In both phases he created rules and guidelines that help keep those in the process on track. Later, he coined this process as Brainstorming, using the brain to storm a problem. This technique became very popular, very fast. He open-sourced the process, allowing everybody to use Brainstorming as they see fit, which led to a lot of misconception and confusion around the actual process, rules and guidelines. What became very clear early on was the fact that one can come up with GREAT ideas and solutions to the WRONG problem. Osborn concluded that Brainstorming as a stand-alone process was not enough. He partnered with Professor Sidney J. Parnes to further develop the process of creative thinking which led them to the development of the Creative Problem Solving (CPS) process. This process has evolved over time and now consists of a three phase, six step process. It takes problem solving all the way from problem definition to implementation. Since the 1960s, the Creative Education Foundation has been researching, developing, publishing and teaching this process. We publish the longest running academic journal on creativity and innovation called the Journal of Creative Behavior. The CPS process is the most researched validated creative thinking technique in the world, due to our open source approach which has reached hundred thousands of people around the world. TCP: What do you think about “groupthink”, and how do you avoid it in your group sessions? Groupthink happens, provides a challenge for those who lead brainstorming sessions and requires techniques that allow teams to reflect the collective wisdom of individual thinking and perspectives - allowing a dynamic process of collaboration and yielding results that are stronger than would be developed if just one individual were generating ideas. 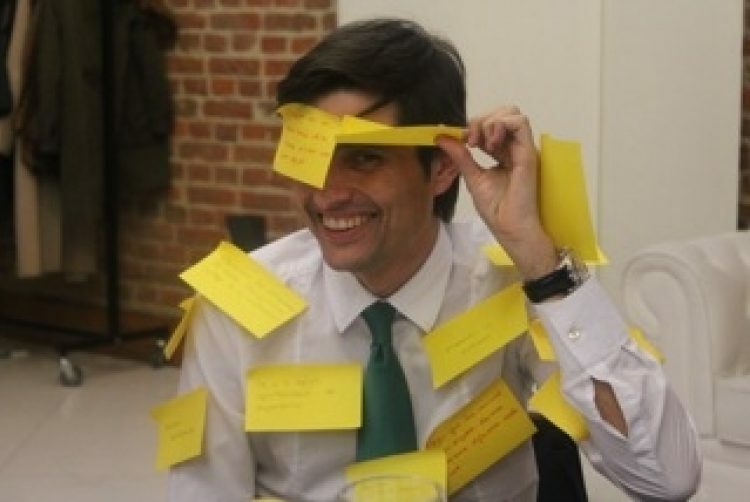 Within the CPS process we use a tool like Brainwriting a lot, this technique is great for eliminating hierarchy, allowing introverts to submit ideas and reduce groupthink behavior. The art in all this is an expert facilitator -- even Alex Osborn addressed this very early on. An expert facilitator’s job is to read a group and apply the right tool at the right time in the process for the right group. I always struggle when people question Brainstorming or any other creative thinking tool. There are many roads that lead to Rome, it’s the facilitator’s job to travel the right one. I also believe that groups are very complex, there is no one size (one tool) fits all to group ideation. The objective is getting to great ideas that solve challenges, period. For some groups Brainstorming works great, for others it requires some refinement of the process. TCP: We would like to know more about CPSI Conference 2012. The Creative Problem Solving Institute is the longest running conference on creativity and innovation, started by Alex Osborn in 1955. 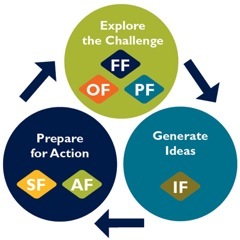 It has been CEF’s outlet to teach the Creative Problem Solving process and many, many other creative thinking tools and techniques. This year we’re hosting the conference in Atlanta, GA on June 19-21 and you can register HERE. One can pick from a wide variety of one-day pre-conference sessions to two-day immersive workshops. On June 19 we’re hosting Innovation Insights Day, an all day with presenters from Harvard Business School, BBDO, Jim Henson Company, Southwest Airlines, Huffington Post and more. They’ll all share their thoughts on how they go from ideas to action.